The exotic-themed Geeki Tiki mugs delivers five iconic Star Wars characters, which allow us to enjoy our favorite beverages along with a unique combination of Star Wars and the culture from tiki bars. The Star Wars Geeki Tikis are five officially licensed and pretty cool ceramic mugs themed by Star Wars. 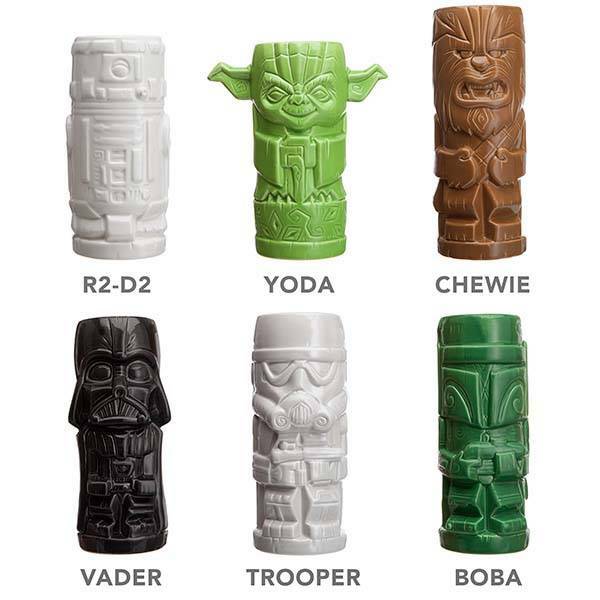 Each of the mugs features an iconic character from the universe of Star Wars including Darth Vader, Master Yoda, R2-D2, Chewbacca, Boba Fett, and Stormtrooper, but unlike those wraparound mugs that directly depict the helmets or portraits of the characters from Star Wars, the ceramic mugs blend the exotic culture from tiki bars with those symbolic Star Wars characters, which makes them looks like a set of mini totems. 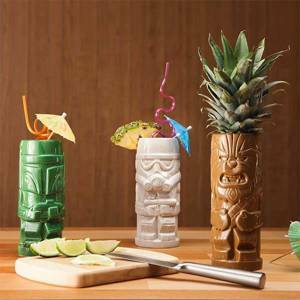 All the tiki mugs have 2″ interior diameter and 2-1/4″ – 5-1/2″ exterior diameter, each measures 6-1/2″, 7″ or 7-1/2″ tall, so the ceramic mugs have the ability to hold 14 oz of liquid goodness, but note that they’re not microwave and dishwasher safe. 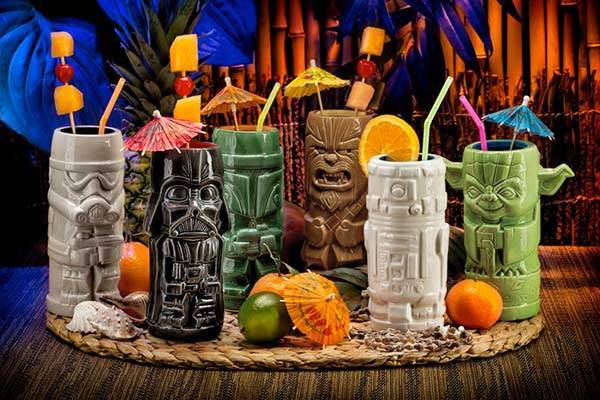 Each of Star Wars Geeki Tiki mugs is priced at $14.99 USD, and the set of 5 mugs will set you back $72.99 USD. If you’re interested, jump to ThinkGeek for its more details. BTW, also don’t miss the zombie mugs and more related cool stuff by following tags.